This is the best ride you can take in the Madison Valley! We start at 9:30 am at the guest ranch and head east into Beaverhead-Deer Lodge National Forest, Lee Metcalf Wilderness. The entire ride parallels Indian Creek until we come to the base of No Man Falls. We then ride to the top of the water fall to enjoy our lunches and to take pictures of the stunning views (don't forget your camera!). This is a great ride for ages 8 and up for all levels of experience. Our horses are experts at this trail and we can assure that you will be at ease with the serenity of the scenery. Lunch is not provided. For the health of our horses we impose a weight restriction of 240 lbs. 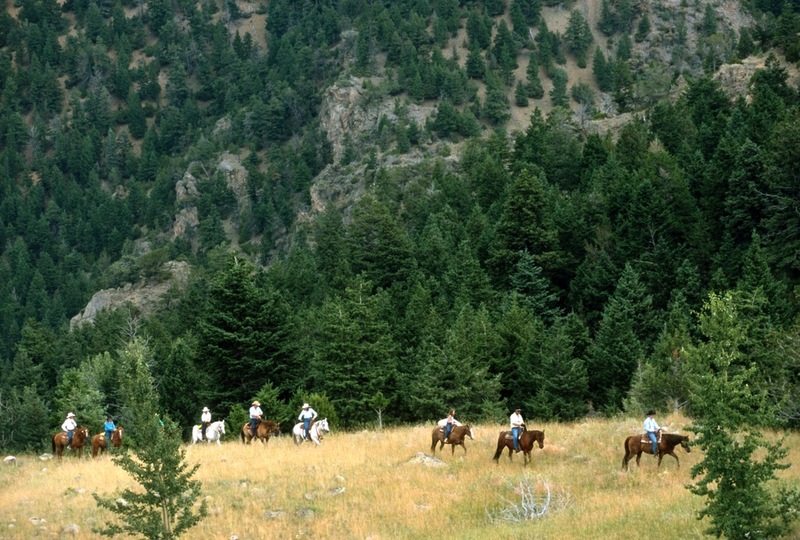 For those that desire a shorter time spent in the saddle we offer horseback tours around the 6,500 acres of the ranch. There's an old homestead to explore, cattle to be moved and spectacular views to be seen. 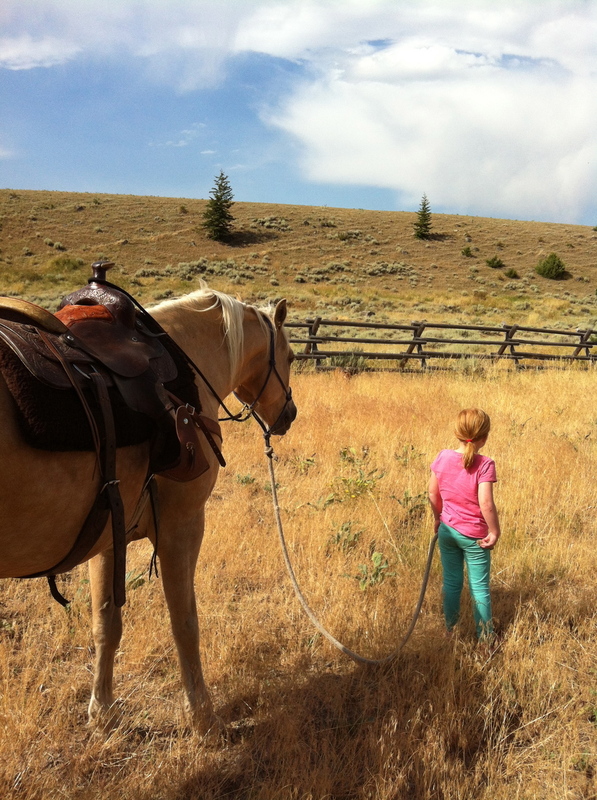 At this time the CB Ranch does not offer riding for children younger than 6 years of age. We are happy to customize rides to your schedule and your interests. C B Ranch is pleased to offer one on one lessons for any age and any level of experience. Children 8 years of age and younger are required to wear helmets. We can provide helmets or you may invest in one of your own. At this time the CB Ranch does not offer riding for children younger than 6 years of age. Taking a lesson is an excellent way to increase your confidence in riding and develop your relationship with horses. The C B Ranch has a large arena located at the guest ranch for the lessons where one can improve upon their skills before heading out into the wide spaces of the ranch.